More than 95% of Americans are reached by media targeting vehicle drivers and passengers. One vehicle wrap can generate between 30,000 - 70,000 impressions daily. Fleet vehicle advertising boosts name recognition 15 times greater than any other form of advertising. 30% of mobile outdoor viewers indicate they would base a buying decision on the ad they see. A 30-second prime-time spot in the top 100 television markets cost $17.78 per CPM. A 60-second drive-time ad in the top 100 radio markets cost $8.61 per CPM. A one-third b/w page ad in the top 100 newspaper markets cost $22.95 per CPM. A four-color one-page ad in 23 top magazine publications cost $9.35 per CPM. The average for all forms of billboard ads cost $2.18 per CPM. 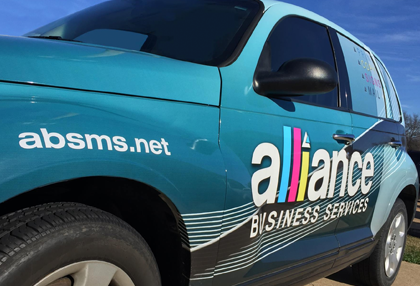 Vehicle wraps cost $.77 per CPM. Now ask yourself why doesn't your company have there vehicles wrapped?